The Government has been urged to publish its plans to cope with a no-deal Brexit. The Tánaiste spoke to RTE Radio One’s Morning Ireland as the European Commission’s Jean-Claude Juncker reiterated that the current deal is “the best – and only – deal possible”. Mr Coveney will today bring a dossier to Cabinet with a contingency plan for preparations on various different Brexit outcomes. “But of course we have to prepare for [a No-Deal Brexit],” the Tánaiste told RTE Radio One’s Morning Ireland. “That is the other side of the story. “One [contingency plan] is the ‘central case scenario’, where we do get a deal. This will start a two to four year transition period in which to prepare for and invest in the new reality of Brexit. I will meet @theresa_may this evening in Brussels. I remain convinced that the #Brexit deal we have is the best – and only – deal possible. There is no room for renegotiation, but further clarifications are possible. “The second is more challenging. This is a plan for a No-Deal Brexit, which is not good news for anybody. “We are actively preparing for that… to ensure if necessary that we will be ready by March 29 for Britain to leave without a deal. “This is actually fast-forwarding preparations to be in place for March 29. Explaining the practical terms, Mr Coveney continued; “We currently have a recruitment process in place for extra customs officials, based on that we need to have them in place in two years’ time. “This of course would have to be fast-tracked. “We will need more Department of Agriculture and Department of Health inspectors for sanitary inspections at ports and airports. “We have to prepare for all outcomes,” he continued. The Tánaiste said the ‘backstop’ is a “fall-back position, a last resort insurance mechanism” and claimed the DUP is “making it into something it’s not”. “This is a difficult management exercise politically for [the UK Prime Minister]. “I think what’s possible is [for us] to provide reassurance, the backstop is a fallback position, a last resort mechanism. “Everyone wants to avoid the backstop by having a comprehensive agreement that deals fully with the issue of the Irish border. “If it is used, it is only meant to be temporary until an agreement is made between both sides,” he continued. “The DUP have turned it into something it isn’t. They have created fears around the backstop that aren’t real. Mr Coveney said the aim is for the Republic of Ireland and Northern Ireland “to enjoy the status quo of what we have today”. “Both nationalists and unionists should be interested in this,” he said. “That’s what the Prime Minister committed to last December and she has defended that commitment since. Meanwhile, British Prime Minister Theresa May surprised many yesterday when she said a United Ireland will move dramatically closer if the ‘backstop’ is removed from the Brexit deal. Fianna Fáil leader Micheál Martin has said the risk of the UK leaving the EU next March was now a real possibility and Irish business was not prepared for this. Sinn Féin leader Mary Lou McDonald also urged the Taoiseach, Leo Varadkar, to publish plans for each sector of business to cope with a no-deal Brexit. But she added that the Government must also move on plans for a border poll and an early united Ireland. Mr Varadkar said talk of a united Ireland was “disruptive and destructive.” He argued that it put up obstacles to his government’s efforts to get the current Brexit deal ratified and into place. The Fianna Fáil leader said the take-up for various government Brexit aid plans to business had been very poor so far. He also asked the Taoiseach what plans there were to seek EU regional and social fund support to help Ireland cope with the economic fallout. Mr Varadkar said Brexit planning was continuing all options were being addressed. He pointed out that UK had set the bar very high on Brexit by insisting on leaving the EU single market and customs union while rejecting the jurisdiction of the European Court of Justice to resolve disputes. “I think it’s essential to point out that the basis of the backstop is not just an Irish issue – it’s a European issue as well,” the Taoiseach. 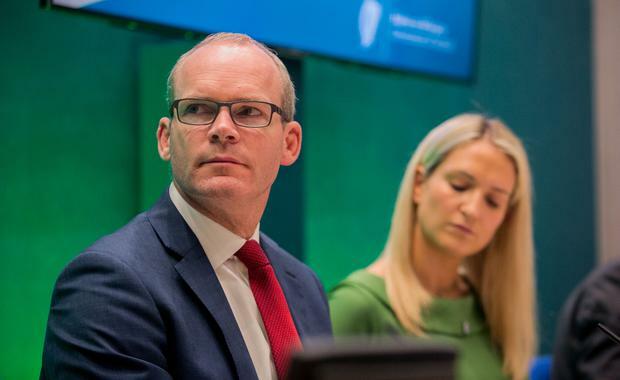 Tánaiste Simon Coveney has detailed how Ireland is “actively preparing” for a No-Deal Brexit, but said he believes it “is still unlikely”. The Good Friday Agreement gives prominence to the ‘principle of consent’ which affirms the legitimacy of the aspiration to a united Ireland while recognising the current wish of the majority in Northern Ireland to remain part of the United Kingdom. Mrs May’s U-turn came after she and senior ministers had spent days insisting the vote would go ahead, despite the scale of opposition. The DUP’s Sammy Wilson accused Mrs May of being “prepared to be humiliated by arrogant EU officials and arrogant Irish politicians”. The party’s leader Arlene Foster spoke to Mrs May by phone yesterday and told her: “The backstop must go.” She said a new deal would have to be secured and too much time had been “wasted”. EU Commission President Donald Tusk ruled out renegotiating the deal including the backstop. However, he signalled some hope for Mrs May confirming the EU is “ready to discuss how to facilitate UK ratification”. In a nod to the heightened possibility of a cliff-edge Brexit, Mr Tusk said a special European Council meeting on Brexit this week will also discuss preparedness for a no-deal scenario. His remarks echoed earlier comments by Taoiseach Leo Varadkar who said the only deal on the table is the one including the Irish backstop, warning “it’s not possible to reopen that aspect of the agreement without reopening all aspects”. 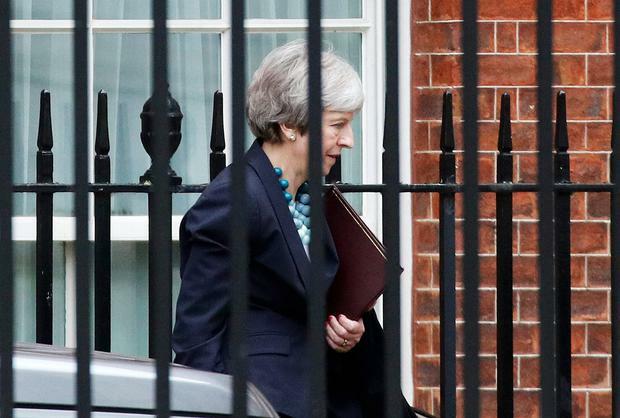 Mrs May is now expected to canvass EU leaders in a bid to secure additional reassurances for MPs on the backstop. 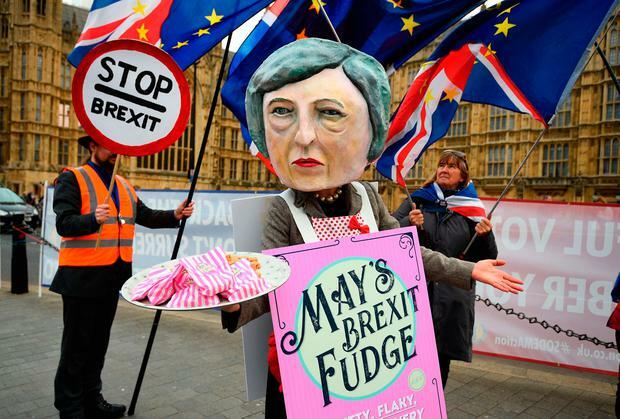 It is believed she is seeking a declaration of sorts on the backstop which would underline its temporary nature in an effort to win over critics in the House of Commons. 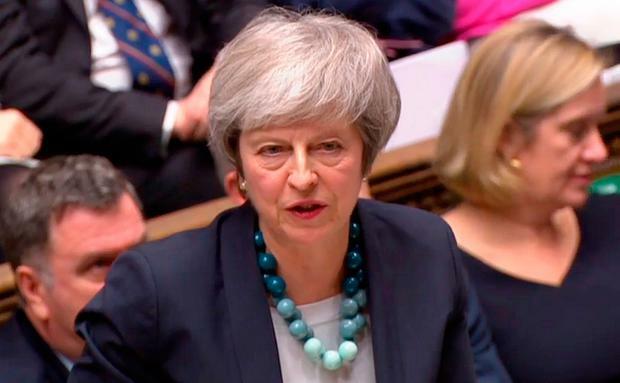 Amid ferocious backlash to the deal on the table and the decision to postpone the vote, Mrs May was faced with shouts of “resign” as she finished outlining her decision. Labour Party leader Jeremy Corbyn was last night resisting calls from smaller opposition parties and his own MPs to table a vote of no confidence in Mrs May.